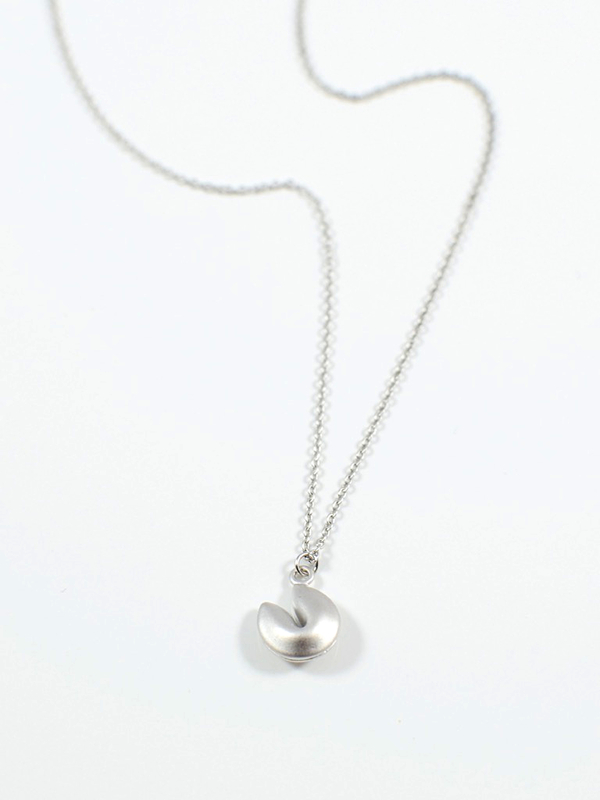 This adorable matte rhodium fortune cookie charm pendant hangs on a 18 inch matte cable chain. Perfect for anyone you want to wish good fortune. 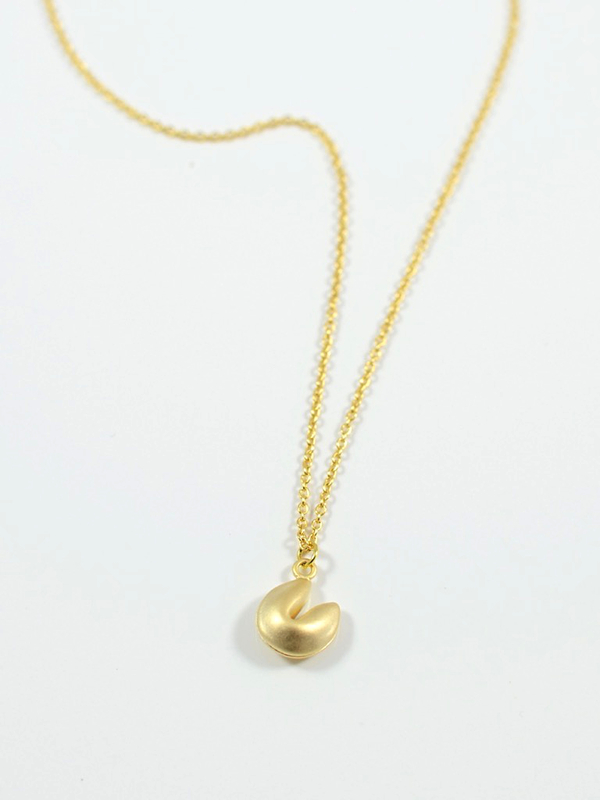 This adorable matte gold fortune cookie charm pendant hangs on a 18 inch matte cable chain. Perfect for anyone you want to wish good fortune. 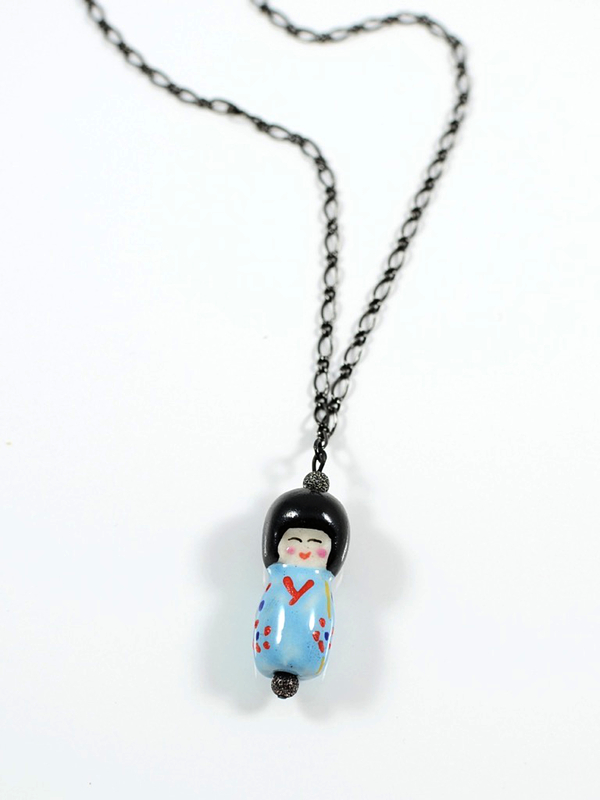 This detailed 18 inch gunmetal twist chain features a cute 1 1/2 inch porcelain geisha girl pendant.